Do you own your business in the competitive business world of the US? If so, then you know with whom you are dealing? 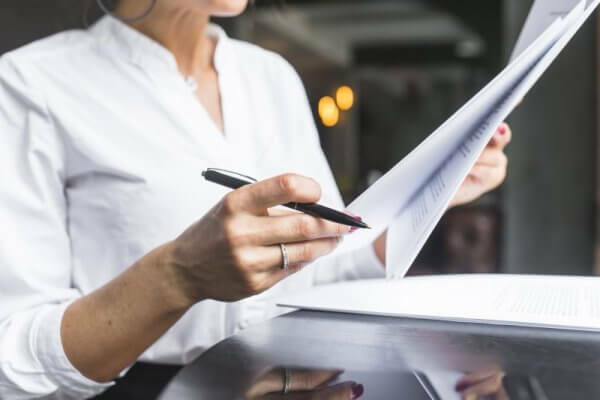 No matter, there are probably quite a few administrative and regulatory obligations on your business checklist such as registering your company in any state, arranging finances, getting a permit, and much more. One of the pertinent requirements for the newest startups is to obtain an EIN (Employer Identification Number) or Federal Employer Identification Number (FEIN), from the IRS. Whether you are planning to do the partnership with another company or willing to donate to charity or switch suppliers, you need to check their Federal Tax ID lookup. This unique identification number will provide you the valuable insights into the businesses you’re interested in. A Federal Tax ID lookup is all it takes to figure out this nine-digit number so that you can check the tax status and the organization’s identity with whom you are doing business. Before finding the methods and tips for finding the federal tax ID for a business entity, you need to understand more about this tax number. It is a method of figuring out the information about the organization’s identity and tax status by using their employee identification number or tax identification number. Well, this identification number is granted by the IRS to the entrepreneurs as per their business structure. When a company is willing to change their business structure in the competitive business world, you need to issue a new ID number from the IRS as well as the Social Security Administration (SSA). Either you are an owner, grantor or trustee of an organization, you can also apply online or by using the paper form SS-4 for obtaining an EIN number for your business entity. But the third-parties applying for an EIN need to identify themselves as a third-party designee. Why is Important to obtain an Employee Identification Number (EIN) for your Business Entity? The simple and straightforward answer for this question is that if you are running a business without any employees in the competitive business world, then you are not required to obtain an EIN. You can simply use your IRS filing for tax deductions or Social Security number on your tax returns in order to stay away from the legal system problems. But still, if you are confused about obtaining an EIN for your business entity, then it is always advisable to hire an attorney with experience and knowledge in this sector. Hiring attorney for your startup not only assist you in understanding the legal obligations of your startup, but it will also aid you in understanding to file an EIN with the IRS. What are the Methods and Resources to Look Up a Tax ID for a Business? Once you understand the importance of obtaining an EIN for your business entity, the next thing that you are required to know about the methods and resources for Federal tax ID Lookup. Well, there are various easy and free ways available to search for the federal tax ID that a business is operating with. Typically, all the professional entrepreneurs and professional business owners have the tax identification number assigned by the IRS while setting up a startup. Whether you are a vendor who is seeking the tax identification number for your payments reports, or a business owner who has lost his federal identification number, you would need to know more necessary information about the company to locate it. Here are some methods which will help you for federal tax ID lookup for various business entities. The first and foremost resource for finding out the federal tax ID is EDGAR which is maintained by the US Federal government department of Securities and Exchange Commission (SEC). Well, the database of EDGAR is free of cost and can be used in order to find out the EIN of a business entity which is not even listed in the online SEC filings. The profit businesses use SEC forms 10-k, 10-Q, and 8-K reports for filing the EIN. These forms contain the company’s FTIN. If you want to have a quick Federal Tax ID lookup, you can use EDGAR to look up a FTIN, merely by visiting SEC.gov EDGAR Company Filings page. You will find all the forms in the list and the required documents for obtaining the form for your business entity. Well, the IRS is the government agency of the US which is directly responsible for granting the Employee Identification Number to the business owners in order to keep a melting point in the competitive business world. So, for some reason, you have misplaced the EIN, and you are unable to give your Federal Tax Identification number to the investors and vendors, you can always contact to the Internal Revenue Service and get it from them. This method is only accessible to the owners of the business entities, trustees, authorized people of the company or an individual with power of attorney and other legal representatives. Another helpful resource for Federal Tax ID Lookup is the Melissa data which is an organization that collects and supplies information to the businesses. For instance, if are required to check your former employers, you can easily obtain his tax ID number on one of the W-2 forms of your business entity. All you need to do is to enter the name of the company or zip code into the website of Melissa Data in order to find out the information you want to know about the business entity. With the advancement of technology and network opportunities, the business owners underestimate the importance of their local libraries. But when you are willing to look up an organization’s Federal Tax ID number, then local libraries references can be a valuable asset. Most of the public and college libraries have the desk of a reference, managed by the reference librarians. You can easily be accessible for Federal tax ID lookup for the business identity that you are looking up. More importantly, reference librarians are specialized professionals that can help you in finding out the specific types of information, such as a company’s EIN and FTIN details. One of the easiest and simplest way to find a company’s Employer Identification Number or Federal Tax ID is to call the business and ask for it. Most of the businesses will willingly provide you with their EIN if you asked them. Well, this kind of information is a public record, and there’s a merely no reason that a business shouldn’t reveal its data to the vendors or investors. This is particularly true for the nonprofit companies, since the FTIN is often needed to claim deductions for tax purposes, and you’ll have it in a matter of seconds without any legal issues. If you are willing to use the EDGAR for Federal Tax ID lookup for different companies, then start your search by using only the first few letters in the company’s name. This will help you in getting the results more accessible. In order to find out the FTN of a company, make sure to ask for their accounting department in order to have the more information in your hand than anyone else in the company. If you’re doing a zip code search through Melissa Data, make sure that you’re using the zip code in which the business’s corporate office is located, rather than the local office zip code. There is no denying to the fact that most of the businesses are registered with the SEC with names that are quiet similar to their public name but not always an exact match. Well, these tips will not help you in saving your precious time, but it will also help you in reducing the frustration and provide you with the information you’re looking for more quickly and easily. A nine-digit Federal Tax ID number or Employer Identification Number (EIN) is recommended to all new business owners for establishing IRS tax filing status, and all the other legal obligations. If you are looking for some help in order to perform a federal tax ID lookup, and registering or incorporating your business in the competitive business world of the US, then look no further. Feel free to contact to IncParadise and set a dream business.